Joy for Life can come together, whether it’s just two people or larger groups, at home, in a coffee shop or at Church. You can expect to discover more about Jesus using this tried and tested format of answering homework questions with your Bible as the verses speak to you personally. Then if you meet with friends sharing your answers or in a group if you belong to a more organised format will be a blessing. Listening to some teaching from someone who is anointed in the group can sometimes be helpful. Finally take notes home which are able to reinforce all you have felt God is saying to you. You can also download a module and use the Joy for Life studies alone – just you and the Holy Spirit – and hear God speak to you intimately. The Founder of Joy for Life is Sue Hurst Watch her story. She became a Christian in Melbourne, Australia in 1973 and is the mother of four children, and has ten grandchildren. She has travelled extensively with her husband David to share the Word and their testimony and was in Eastern Europe before the end of the Cold War. She has also helped people in other nations (Myanmar, USA, Australia, Sri Lanka and Europe) respond to the Love of God, resulting in changed and healed lives. Sue has spent the last twenty years designing, preparing, writing and rewriting the Joy for Life study material, as well as leading Joy for Life groups. She is never happier than when she helps a woman discover how valuable she is to God the Father. Creating Joy for Life has enabled Sue to become an experienced mentor to many women in a multitude of different situations. Sue is determined to show that Joy for Life can only happen if Jesus is the centre of our lives and the Word of God becomes our foundation. 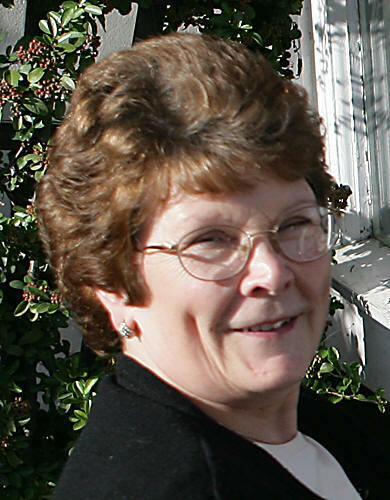 Ruth Burton has been part of the prayer support for Joy for Life since we started. She has been an inspiration to us and has challenged the boundaries of our faith time and again. Without Ruth whose wisdom is priceless and her prayers so faithful, we would be unable to even contemplate the growth of Joy for Life into this new and exciting phase. As you join us in studying the Word of God, you can expect your life to change, and you will be blessed as you learn more about the Lord of Life, Jesus Christ. We are very grateful to all who have proof read the modules and given such wonderful ideas and changes that have added to the value of the studies. To the women who have used the studies and given feedback of the joys of having a study geared towards women’s issues has been priceless.